Still on my lentil kick I decided to try another recipe from The Big Book of Little Lentils cookbook. This time I chose to do a variation of the Lentil Brownies they share. I took them to work and the reviews were fantastic! Everyone was surprised that they were infact made with lentils! For this recipe you need to make a lentil puree. That is simply cooking lentils until they are done then pureeing them in a food processor. I didn’t add any extra water to the cooked lentils. Mix in the lentil puree, cocoa, salt and sugar. 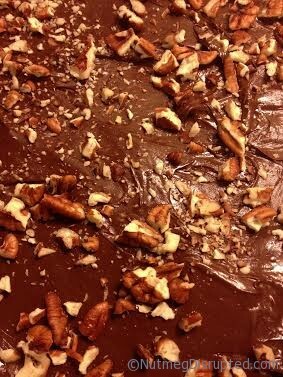 Mix in the vanilla, flour, one cup of the chocolate chips and ¾ cup of the toasted pecans. Line a 9 x9 baking pan with parchment paper. 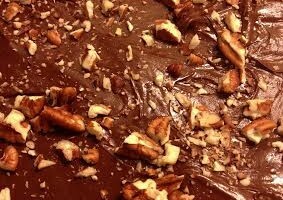 Bake the brownies at 350 degrees for 22 minutes or until a tooth pick inserted in the center comes out clean. Remove from the oven and sprinkle with the remaining 2 cups of chocolate chips. Cover the entire pan with a cookie sheet and let sit for 5 minutes. Using an offset spatula spread the melted chocolate chips over the entire surface of the brownie. Sprinkle with the ¼ cup chopped pecans. If I may dare say, these are a fool proof recipe. Brownies can be tricky finding that balance between under and over cooking. I know I have often had brownies with very hard edges only to find the center extremely soft. These were a nice moist brownies with no hard edges. I made a large batch of puree so I could have some handy in the freezer. 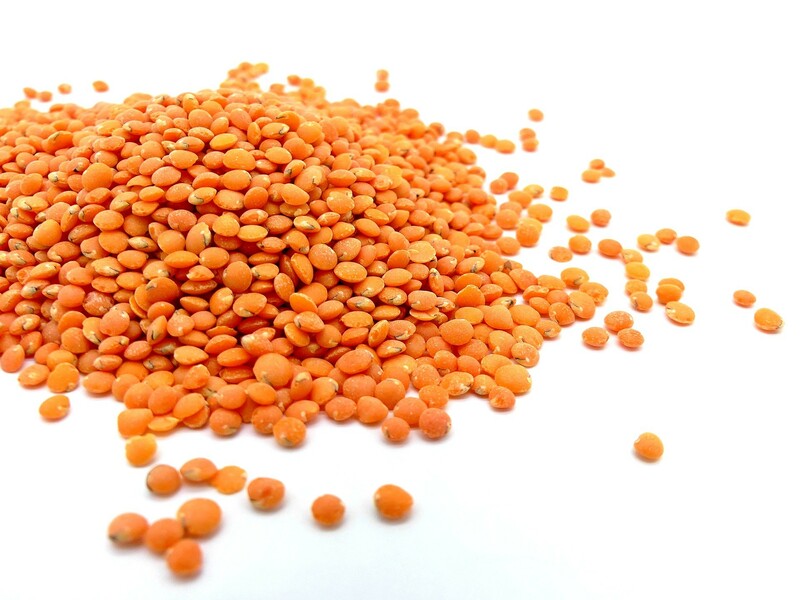 For every cup of lentils you need 3 cups of water and a good dash of salt. Cook for the time needed per type of lentil. To make the puree you take one cup of cooked lentils and a 1/4 cup of water, give or take. When I made my puree I went very light on the water. My puree went straight into the freezer and I can always add water to the thawed puree if I want to thin it out a touch. This sounds intriguing. A daft question I know but how much dried lentils are required to make 1/2 a cup of lentil puree?